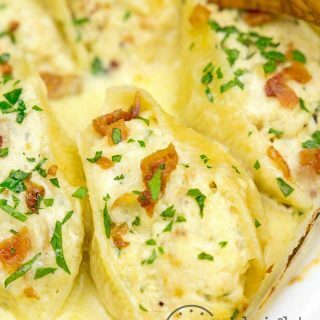 Chicken carbonara alfredo stuffed shells are pure comfort food, and a great way to use leftover chicken too. Can’t decide whether you want chicken carbonara or chicken alfredo? 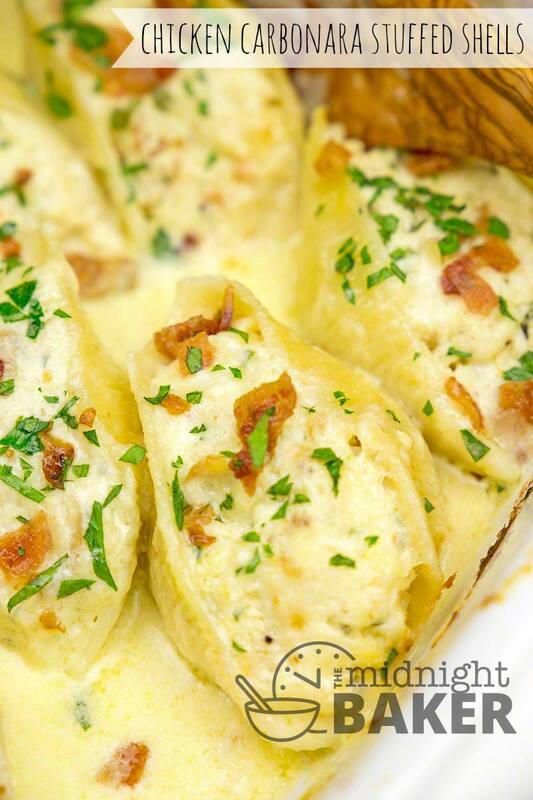 Chicken carbonara alfredo stuffed shells give you the very best of both dishes. They are also easy to make. 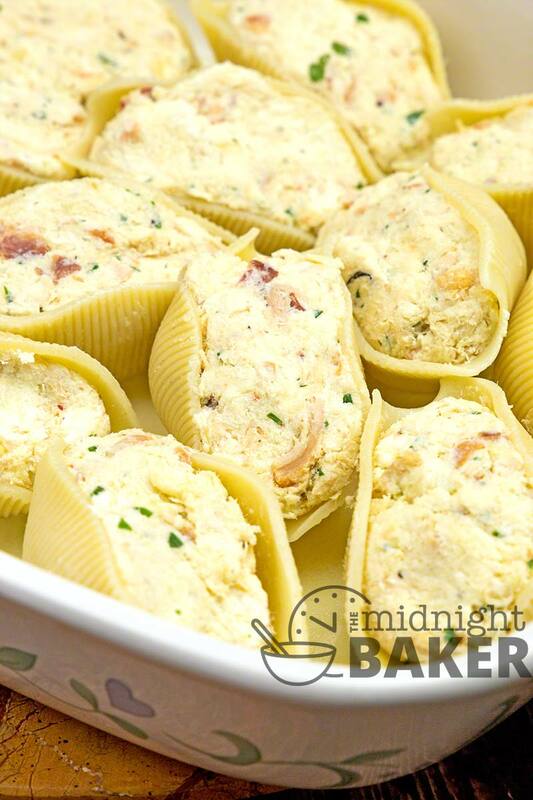 Unlike standard cheese-stuffed shells, the filling is easy to handle and not messy. These shells are the perfect place to use any leftover chicken you’ve got from another night’s meal. Roast or rotisserie chicken is perfect. I would suggest using only white meat in these, but that’s a purely personal opinion. White meat chicken (and turkey) is milder flavored with less fat. Since this stuffed shell filling has other flavorings that need to shine through, the milder the chicken, the better the overall flavor. Personally, I’ve never found a store-bought alfredo sauce that I’ve been crazy about. The original recipe called for a 15-ounce jar. 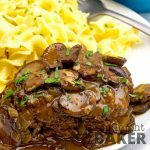 If you have a brand you like, then I suggest using your favorite since it will make this recipe even easier, but if you are like me you will probably prefer making your own. 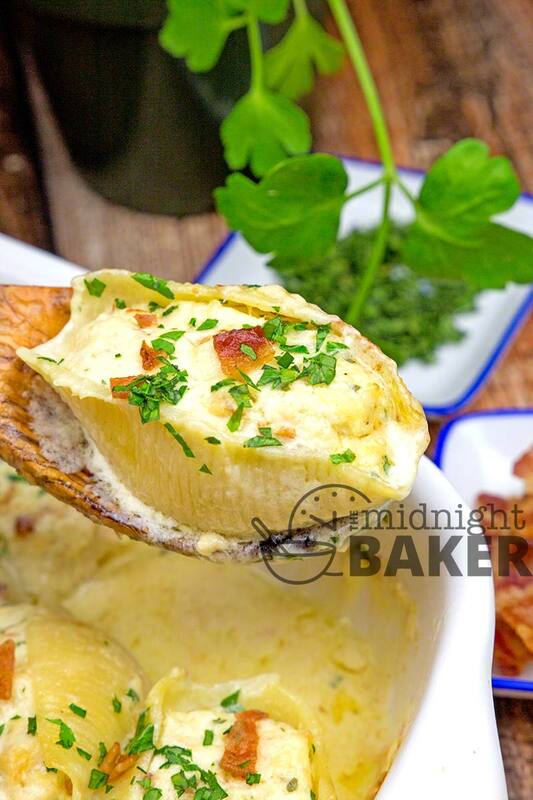 I’ve provided a link to my quick alfredo sauce here and in the recipe card. Mix all filling ingredients together in a large bowl. Cook shells per package directions; drain. Place on a large plate or baking sheet to cool. Toss with about 1 tsp olive oil so the don’t stick to each other or the dish. Mix the alfredo sauce with the chicken stock—ONLY IF USING STORE-BOUGHT SAUCE. 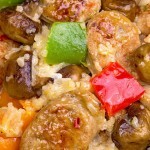 Place about ½ cup in the bottom of a 13 x 9-inch baking dish, spreading the sauce to coat the entire bottom of the pan. Fill shells and place them in the pan on a slight diagonal. Bake for 35 minutes, or until sauce is bubbly and stuffing is cooked. 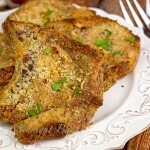 My mouth is watering just from reading the recipe!! Thanks for another re-do for left over baked chicken breast on the bone!! I really hate to throw away good food, so I’m always looking for ways to use it! And this was very good too! Hope you like it as much as I do! Okay, Judith!! You are wiping all my good intentions for watching what I’m going to eat in the next two weeks. I simply have to try this recipe. Lordy, but does it look delicious. Pasta. Cheese. Chicken. It’s got everything I want. If I die from taste overload I’ll pass away happily! !